One of the major lapses uncovered by the AGO was in the administration of grants by one of the huge number of unaccountable funds that the Finance Minister is so fond of setting up. I have been suggesting for years now that the reason for setting up all these funds is that it removes tens of billions of dollars of assets from proper Parliamentary scrutiny and places them directly under the PM’s control. The moment billions of dollars goes into one of these funds we the people can no longer find out what is happening to our money. Many of the funds seem to disappear from the annual Government Statement of Assets and Liabilities. Only the PM knows where the money is and how it is performing and he is not sharing that information with Parliament. What kind of AGO report doesn’t tackle disappearing assets? The report also raises worrying question marks over the adequate monitoring of capital expenditure and controls against theft or fraud in the Gardens By the Bay project where the National Parks Board did not even have a system to track the assets it owns. As the project cost more than $1 billion that is fairly significant. This takes us right back to when President Ong Teng Cheong asked for an accounting of all the nation’s assets and the Government came back with the claim that the exercise would take at least 56 man years. Apparently not much has changed over twenty years! It should come as no surprise that the PAP Government adopts a lax approach to financial discipline when it comes to capital expenditures and to even keeping track of our assets. After all this is the Government to whom Singaporeans have given the power to give away our money for so long. As I demonstrated by my fight over the IMF loan commitment (see my open letter to the Finance Minister from 2014 following earlier open letters in 2012) the PAP disperses our money anyhow, without even having to go through the charade of Parliamentary approval. I can’t make them be accountable to the people in my role as an ordinary citizen. I tried to take them to Court to show they broke the Constitution but the Courts ruled that I had no standing for bringing the case. As we stand at this moment in time no one can hold the PAP government to account, certainly not the AGO nor the current Opposition benches. The lack of financial discipline in capital expenditures is not mirrored in the Government’s approach to social expenditures. When it comes to spending our money on social benefits the government’s reluctance to spend any money on its citizens is legendary. I refer to the miserly government as subjecting us non-natural aristocrats to conditions of austerity that citizens of the poorest underdeveloped Nations would never put up with. The PAP would much rather give away our money to foreigners than see it benefit Singaporeans. 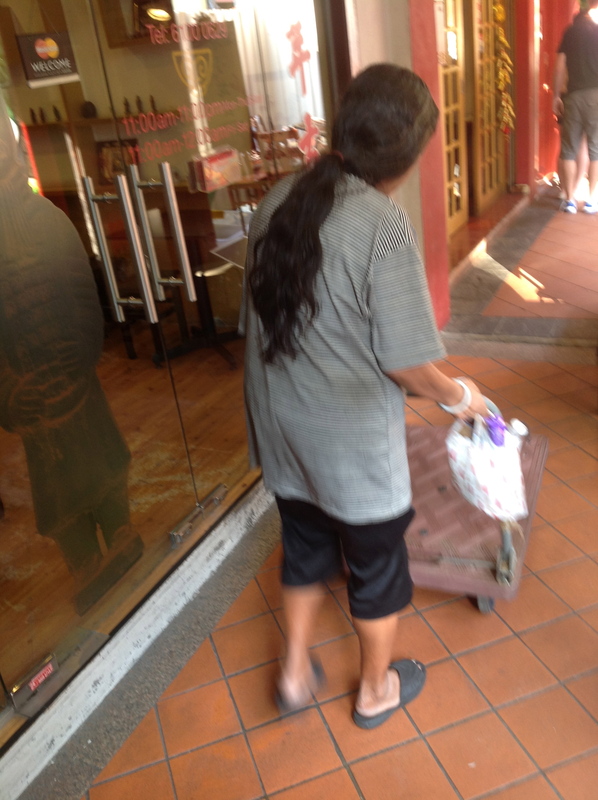 Readers of my blog will be familiar with how difficult it is to get even the amounts under the MSF’s own rules paid to deserving welfare claimants like the homeless Madam L. It takes considerable and persistent effort and a fairly high level of education numeracy and literacy to unlock the amount due. The majority of people who are entitled to help just give up or are not even aware of where they can get help – which is presumably one of the goals of the gatekeepers. The highlight of the AGO’s report for many was undoubtedly the scrutiny of the People’s Association’s (PA) “gasak buta” approach to approving expenditures and in particular the glaring conflicts of interest in the case of Admiralty Citizens Consultative Committee (CCC) where the Chairman had been involved in approving payment of his own claims amounting to some $115,000 as well as failing to disclose his major financial interest in a company that the CCC paid $32,000 to. The AGO had highlighted similar conflicts of interest in the Aljunied-Hougang-Punggol East Town Council so for many it seemed a delicious irony that the AGO had now singled out the Chairman of a CCC, part of the PA which is an institution in the Prime Minister’s Office (PMO), for doing the same thing. Of course that is what the PAP would like you to believe. Their spin will be: Look at the fearless and independent AGO. Opposition in Parliament is a waste of time and leads to gridlock and lack of cohesion. The AGO alone can be your watchdog sniffing out corruption and waste. Look how they have not been scared to go after the politically well connected, even when it involves such mighty figures as the Chairman of a CCC. As PM Lee has repeatedly said, the PAP Government will maintain its “zero tolerance for corruption, regardless of the rank and seniority of the officers involved“. Khaw Boon Wan and the other members of Sembawang GRC have been quick to say that the AGO found no evidence of dishonesty. However the PA have forced the Chairman of the CCC to step down. While this is undoubtedly the correct action, it follows that the PAP Government will use it to put pressure on the WP to follow suit and sacrifice at least a few heads, maybe even an MP or two. The AGO cannot replace the role of the Opposition as a check on government. So should we rejoice? No. 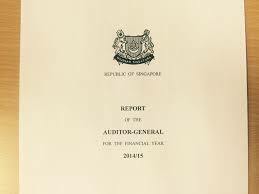 Singaporeans would be wrong to draw the conclusion that this report heralds a new era of transparency and accountability in which the AGO is going to become the new knight in shining armour leaving no stone unturned in its fight to root out government mismanagement and corruption. In particular do not be fooled by this exercise in making you think that an active Opposition calling the government to account and demanding transparency is not necessary. I for one have a fundamental problem with the AGO replacing the Parliamentary Opposition as a check on the PAP Government. And I am not saying that just because I want to be an MP. The fundamental problem is that the AGO is not independent. The Auditor-General is appointed by the Prime Minister, like the Attorney General, the Supreme Court judges, the top civil servants, the chiefs of the armed forces, the police, the CPIB, the heads of the statutory boards and the Government companies including Temasek, GIC, and Changi AIrport Group. Technically the President has limited rights of veto since he can withhold his approval to any of these appointments. However, he can only do so if he consults the Council of Presidential Advisors (CPA) where he only controls the appointment of two of the members out of six. Two other members are appointed by the PM, one by the CJ and one by the Chairman of the Public Service Commission. If the CPA rejects any appointment it must publish who voted against it. If the President fails to concur with the CPA his decision can be overridden by a vote of two-thirds of MPs. At present the PAP hold over 90% of the seats in Parliament. Therefore you can see that it would be pointless for the President to veto a PAP decision. He would be over-ridden in parliament. The Presidential candidates are also carefully selected to try and ensure that they are all former civil servants or come from the ruling Party. And if the President should step out of line the PM can have him removed if a panel of five judges concurs with him that the President has broken the Constitution or is guilty of any offence involving corruption, dishonesty or moral turpitude. That last one is an ambiguous catch-all phrase that could include something such as having an affair. We already have a civil service who do not seem to understand the distinction between state property and that of the Lee family, as has been seen in the PM’s defamation suit against unemployed blogger Roy Ngerng where both the PM’s Press Secretary and the Singapore High Commissioner to London have overstepped the mark in defending the PM using state resources in a private matter. I wrote a letter to the President asking him to investigate whether the PM had broken the Ministerial Code of Conduct but have not received a reply just as I never received a response from the President in the IMF loan commitment case. I could go on but I think you get the picture. The AGO is unlikely to uncover anything too controversial or if it does we, who are not part of the natural aristocracy, are unlikely to hear of it. It is silent on the really big conflicts of interest such as the fact that the PM is Chairman of GIC and his wife is CEO of Temasek. So don’t start getting too triumphant, too soon. Vitally, the AGO’s report doesn’t tell us whether the PM is paid as Chairman of GIC and how much nor how much Mrs Lee is paid. 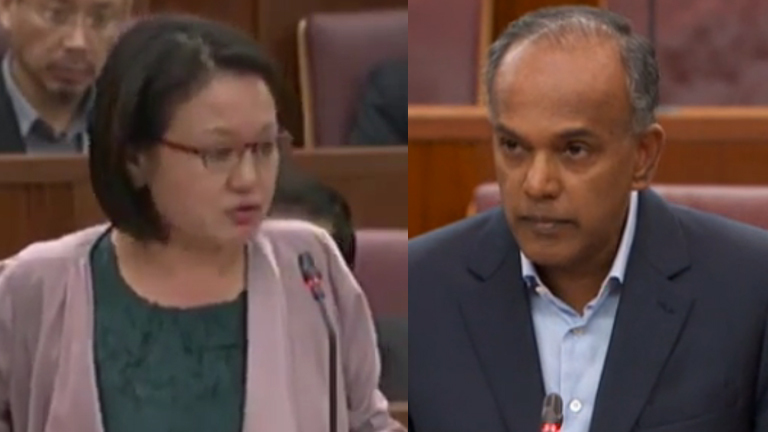 It does not check whether her remuneration targets are too easy to reach and whether they are aligned with the interests of Singapore or represent good value. The AGO is only there to see that there are checks on whether money is taken out of the system through lax financial controls. It is not able to comment on sophisticated financial fraud such as the injection of Government assets into Temasek or GIC below their market value to goose up their performance figures and allow the management to pay themselves bigger bonuses. Nor does it comment on the valuation of assets in their portfolios. This year the AGO audited the financial statements of several GIC companies. They issued an unqualified opinion. Yet they do not have the expertise nor is it within their remit to comment on the valuations of assets and liabilities. Only a truly independent entity, experienced in pricing of illiquid assets in those markets could do so. AGO report fails to explain black holes in the Government’s Statement of Assets and Liabilities. AGO also audits the Government’s financial statements and is supposed to check on whether ministries have in place precautions against negligence and extravagance. The Government’s financial statements sailed through the audit as usual with an unqualified audit opinion yet we heard nothing about the substance of those statements. In particular the AGO did not comment on the Government’s Statement of Assets and Liabilities. Since 2012 I have pointed out that this statement cannot be an accurate measure. In fact I wrote an open letter to the Finance Minister a few months ago asking him why the figure for assets was so low and why certain funds like the National Productivity Fund (NPF) did not appear in the statement while others did. 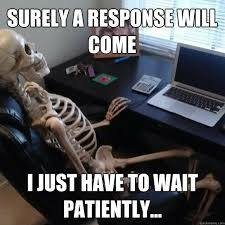 I am not holding my breath waiting for a reply. While a few ministries, funds, statutory boards and government companies were audited for financial negligence and waste, the report was noteworthy for what it did not cover. Even the limited number of audits it conducts are only test checks. This means that major frauds and irregularities may go uncovered if AGO does not look in the right places or selects too small a sample to be representative of the whole. Unless prescribed by law the AGO does not audit funds unless they are asked to do so by the Finance Minister. Since the Finance Minister controls the money in the funds he has a conflict of interest. Even for funds where the law setting them up prescribes an audit the AGO only audits them on a rotational basis. For instance this year AGO chose to audit the National Research Fund (NRF). But the number of funds are increasingly so rapidly that there seems to be less and less oversight by the AGO, even if this were a truly independent oversight agency. I have highlighted the NPF which does not appear in the Government’s statement of assets and liabilities and also does not appear to have ever published any accounts that have been seen by Parliament or released publicly. I asked Tharman for answers on this subject (see above) but he has not replied. Yet it has received $3.5 billion of taxpayers’ money while productivity growth has been negative since it was set up and began handing out money. We urgently need an audit of the NPF to find out where the money has gone. Similarly despite the NRF audit no public accounts of NRF have been published. In spite of highlighting serious issues in monitoring the disbursement of grants and how they were spent, the AGO report contains no details about follow through or how it intends to continue oversight to see whether the NRF complies. At the very least the NRF should be placed in administration until stricter financial controls are in place. The same should be applied to the NPF if we do not get satisfactory answers about where the money has gone. Both the NRF and the NPF are part of the PMO so if there has been gross negligence or wastage of money the PM should be surcharged for the full amount. The same goes for other ministers in charge of ministries where government money has been wasted. We can conclude that while this year’s AGO report has uncovered some worrying lapses they mostly concern relatively small amounts, in the context of a close to $400 billion economy and upwards of $800 billion of Government assets, and also relatively small fry. Even in the case of the NRF there is evidence of waste and negligence in the administration of grants and we can assume that the same or worse is likely or very likely with regard to the other funds that the Government has set up which have puzzlingly not been audited by AGO or their accounts presented to Parliament. Also AGO is not empowered or able to catch sophisticated financial fraud such as might occur at our sovereign wealth funds. While the PAP are no doubt hoping that this will convince Singaporeans that they are whiter than white and leave no stone unturned to root out corruption, this report provides no satisfactory answers. The only way to get the answers is to elect people to Parliament who are not scared to ask the right questions. 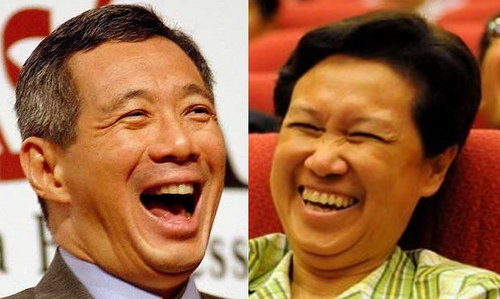 accountability, AHPETC, Auditor-General, IMF, Khaw Boon Wan, Lee Hsien Loong, PAP. Has Lee Hsien Loong Forgotten Who Pays His Salary? Every time the Government go after Workers Party for some irregularities, it always turn out the PAP and Government did more serious irregularities. As the Government they have no excuses. They must lead by good examples only.